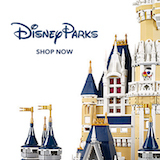 Buying Direct - Direct Purchase - DVCNews.com - The essential Disney Vacation Club resource! What does it mean to buy points direct? What happens if I visit one of the sales kiosks? The purpose of the kiosks is to get folks to sign up for a sales presentation. Disney Vacation Club maintains numerous sales centers--Preview Centers--near most of its properties. At Walt Disney World the preview center is located at Saratoga Springs Resort & Spa. The Disneyland sales office is adjacent to the Disneyland Hotel. There is also a location at the Aulani resort in Hawaii and Tokyo Disneyland. Cast Members working at the booths will discuss some basics of the DVC program and have literature to pass out. But their primary goal is to schedule a tours for interested prospective owners. What should we expect during the sales presentation? The typical sales presentation lasts approximately 2 hours. If the sales center is somewhat remote--like the one at Saratoga Springs--Disney will provide round-trip transportation to and from any point on its property. Complimentary refreshments are provided along with supervised child care to keep the kids occupied. During the tour Disney sales representative or "Guide" will provide an overview of the Disney Vacation Club program. There are typically video presentations, a review of printed materials and a tour of available model rooms. As of 2012 the Saratoga Springs Preview Center features models of the Animal Kingdom Villas' rooms as well as Aulani, Disney Vacation Club Villas. The Preview Centers at Disneyland, Tokyo Disneyland and Aulani only have models of the Aulani villa rooms. The exact tour experience will obviously vary from one rep to another but Disney is known for applying very little pressure to interested buyers. This is not the stereotypical high pressure sales presentation. Interested buyers are welcome to leave without making a commitment. Timeshare sales laws vary from one municipality to another but most prospective buyers can continue to discuss a possible purchase with their sales Guide after returning home. At the conclusion of the tour some modest "thank you" gift may be offered. Most commonly tour participants will receive cards for "instant FASTPASSES"--tickets which can be used to ride a FASTPASS attraction with virtually no wait. No. Disney Vacation Club representatives will not haggle over price. Exact prices and purchase incentives do change periodically. Base prices tend to increase over time. Past incentives have included free Disney Cruise Line voyages with a DVC point purchase, free theme park annual passes, extra points or simply some price reduction to the per-point fee. All incentives do eventually end and it's impossible to know whether the next incentive will be better or worse. Prospective buyers should carefully consider whether they want to risk losing one incentive vs waiting for the next. Is there a minimum number of points I must purchase? For many years Disney Vacation Club maintained a minumum purchase threshold of 150-160 points. More recently they have allowed first-time buyers to purchase as few as 100 points and occasionally they will go as low as 50 points. Speak to a DVC sales rep to discuss the minimum purchase currently being enforced. Which resorts are available for direct purchase? Disney Vacation Club will focus its sales and marketing efforts on the 2-3 newest resorts. Each location only has a finite number of points available to sell and the newer properties are where Disney has its greatest inventory. That said, if pressured they will typically offer to sell buyers points in older resorts. Resorts like Disney's Beach Club Villas and Disney's BoardWalk Villas are considered "sold out", however DVC will occasionally recapture some points which it can re-sell to new owners. But be warned that older resorts are typically exempt from any incentives or price reductions and the purchase prices are not particularly appealing when compared to the newer locations. What form of payment will DVC accept when buying points? Disney will accept cash, check or credit card for point purchases. They will also finance most buyers who cannot afford to pay the full cost at the time of purchase. Loans are typically written for a period of 10 years at a rate of around 11%. The best rates are granted to those with good credit who arrange to have monthly payments debited from a U.S. bank account. There is no penalty for early payoffs. Additional loan payments can be made from the DVC members-only website. A minimum purchase of 50 points is typically required in order to finance. Loans for DVC point purchases are written as a mortgage. Many U.S. residents are eligible to deduct the interest from their taxes. Consult a tax professional for additional details. How long does it take to complete a direct purchase? One of the advantages of buying direct from Disney is the ability to make a reservation immediately after agreeing to buy. When a verbal commitment is given, Disney requests a down payment of 10% which is placed on the buyer's credit card. The buyer can then proceed to make their first reservation on the same day as the verbal commitment. In about a week the buyer will receive the formal paperwork which must be completed and notarized. Final payment or financing application must be included with the paperwork. Once the documents have been completed a state-mandated waiting period of 7-14 days must be completed. At any time before the end of this waiting period the buyer can cancel the deal and receive a 100% refund. At the conclusion of the waiting period the formal closing will proceed. For all intents and purposes, the buyer is recognized as a Disney Vacation Club member as soon as the downpayment is given--provided he/she does not later opt to cancel the agreement. What are the primary benefits of buying direct from Disney? Disney has gone to great lengths to streamline the purchase process for direct buyers. Tours are very friendly and low-pressure. Attractive printed materials are provided which highlight all aspects of the program. Those who agree to buy can schedule their first stay almost immediately. Buyers can choose the exact number of points (subject to certain minimums) they wish to own. They can even chose a specific Use Year if they so desire. Disney tends to be very liberal with financing approvals. Those with a questionably credit history may have more success buying direct through Disney rather than attempting to obtain a loan elsewhere. As of March 2011 only points purchased direct from Disney are eligible to be used for destinations in The Adventurer Collection, The Concierge Collection and The Disney Collection. Included in these groupings are Disney Cruise Line voyages, Adventures by Disney and many non-DVC resorts such as Disneyland Hotel and Paradise Pier in California, Disney's Polynesian Resort and all resorts at Disney's international theme parks. Effective April 2016, members must own points purchased directly from DVC (or purchased resale prior to 4/4/16) in order to be eligible for the "Membership Extras" perks. Included in these perks are the Annual Pass and other park ticket discounts, dining discounts, shopping discounts, attendance at special events and more. Are there any drawbacks to buying direct from Disney? The main drawback is price. Even with incentives, Disney's own pricing can be dramatically higher than a resale contract for the same resort. The resale purchase process has its own set of pros and cons (see our resale FAQ for details) but buyers will often save considerable dollars over Disney's direct prices.